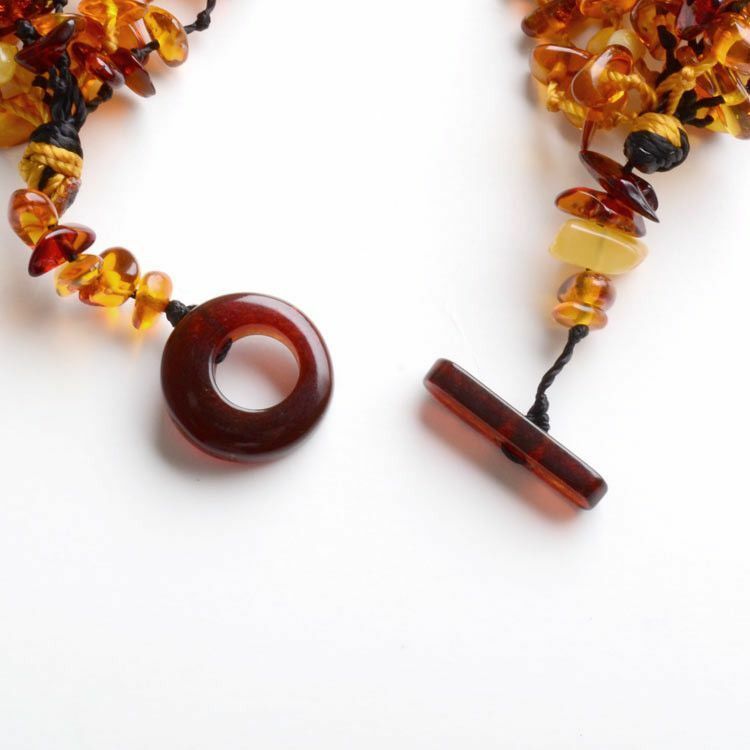 This hand-crafted Russian necklace features 10 gold and black strings. 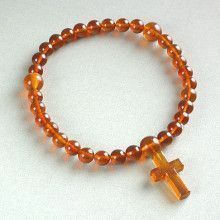 Each strand is strung with an arrangement of cherry, honey, and rare butterscotch colored amber, along with turquoise. 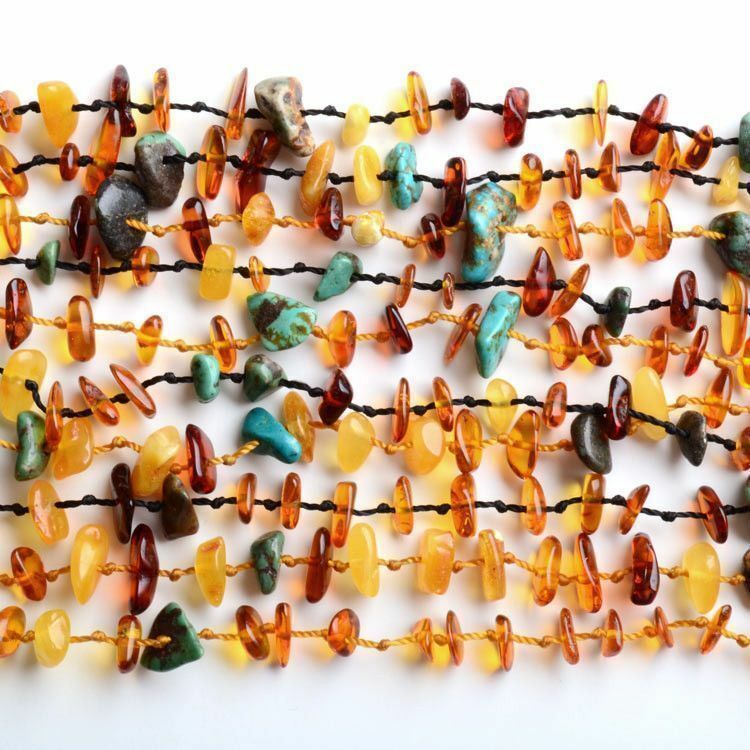 In between each stone is a tiny hand knot. 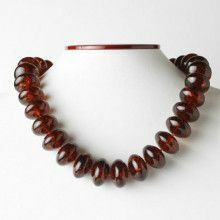 This beautiful necklace really gives off a lot of texture within its style, and is completed by an amber toggle clasp.